Aditya Roy Kapoor Speaks Up On Dating Katrina Kaif! Home BOLLYWOOD Aditya Roy Kapoor Speaks Up On Dating Katrina Kaif! 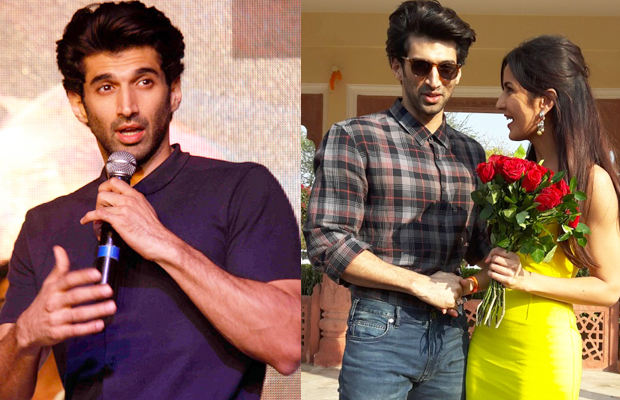 Aditya Roy Kapoor and Katrina Kaif, while shooting for ‘Fitoor‘ attracted the attention of all the gossip factories stating that the two were seeing each other.They were spotted together various times post ‘Fitoor‘ release.In any case, neither Katrina nor Aditya talked a word to accept or reject the gossip of their dating.Recently the ‘Ok Jaanu ‘Actor broke his silence and disagreed to the report of the two dating each other. When Aditya missed his closest friend,Ranbir Kapoor‘s housewarming party and was spotted with Katrina the same night , the rumours of the growing friendship and blooming love grew immensely. Next articleHrithik Roshan Shows Off His Tango-Moves In Kaabil’s #MonAmour!